DEU International Relations Office handles the internationalization efforts of DEU by establishing new academic cooperations all around the world in order to increase the international research and educational experiences of student, academic and administrative staff. • Assists incoming students and staff by providing orientation services and coordinating their communication with the academic and administrative units. DEU has academic collaboration protocols with 59 universities from 25 different countries. DEU is a part of Erasmus+ Program and has more than 300 Inter Institutional Agreements in 28 different countries. Mevlana Exchange Programme of the Turkish Higher Education Council, is programme which aims the exchange of students and academic staff between the Turkish universities and other higher education institutions all around the world. We have 6 agreements from 5 different countries. 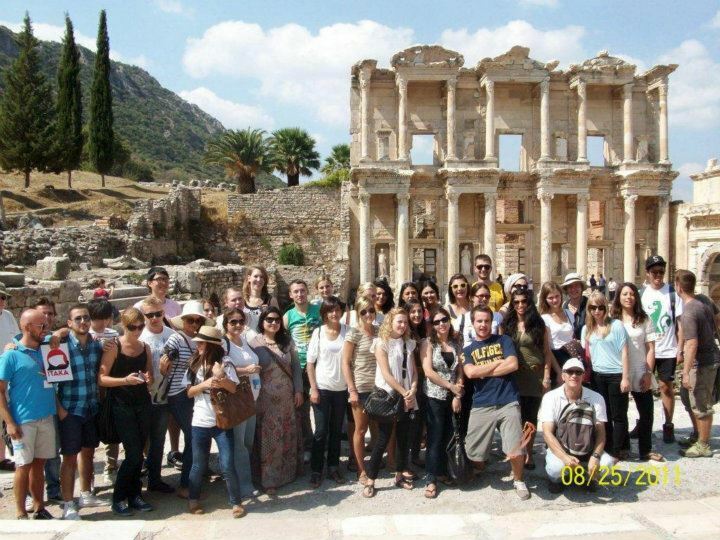 Joint degree programs are undergraduate programmes in which students spend some part of their of their education at a campus abroad and some partner at Dokuz Eylül University. The joint degree programmes offer students a cultural unique experience. Students studying in two different countries and upon completion of the degree, receive a diploma from each partner. We have 2 joint degree programmes. International undergraduate candidates, have to take the examinations held by DEU (DEYOS) and the placements are done based on the test scores. International Graduate Candidates have to apply directly to graduate schools. Exchange students are registered within the framework of inter institutional agreements and exchange agreements. They are assisted by the International Relations Office (http://international.deu.edu.tr/index.php/tr/ ). The quotas and application procedures for transfer students are conducted by Turkish Council of Higher Education (YÖK) and announced in July. International students that want to transfer to Dokuz Eylul University have to follow the Turkish Higher Education Council (YOK) web site for the quotas and conditions, the applications are sent directly to the relevant faculties/ schools ( www.yok.gov.tr ). Prior to their arrival to Turkey, all students must obtain an education visa from the Turkish consulates at their home countries. The students who will stay in Turkey longer than 3 months, have to apply for residence permit within one month after their arrival to Turkey.